Part of the red-hot demand for alpacas in New England has to do with how easy they are to care for. New England offers the perfect climate for these hardy animals whose warm fleeces keep out the cold of the snowy winters. Standing at just 36" tall at the withers, and weighing 140-180 lbs, alpacas are easy to halter, transport and handle. 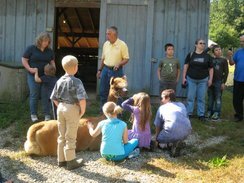 The primary care taker of these animals is more likely to be a woman in New England than a man, although many farms are operations where the entire family (including the children) is involved. Most farms are small with 12-40 animals being the norm. Most farms have little or no heavy equipment and do not hire outside help. 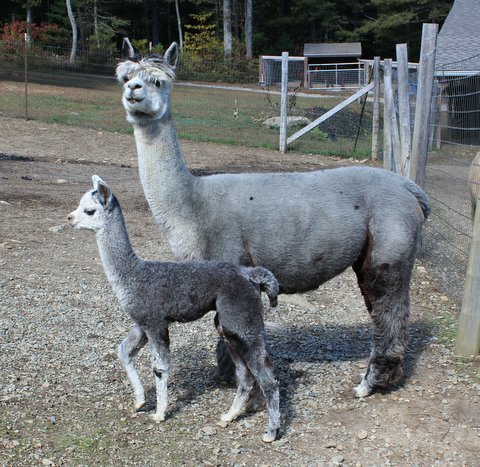 The land requirement for raising alpacas in New England is also small - an acre for 6 alpacas. Alpacas require little grooming other than toenail trimming every couple of months. They do not need more than a simple three-sided shelter...and they do require certain vaccinations and anti-parasitic medications. When the new breeder sees the small is beautiful approach to alpaca farming here in New England, many say Hey...I could do this!